Nope, not really…not yet, anyway. But I did grab your attention (with a nod to Joe Walsh). Now that I’ve got it, let’s have a motivational talk. Seems the older I get, the harder it gets to keep motivated. Part of it, I know (even if I hate to accept it), is I’m getting older: the engine has logged a lot of miles, the tires are increasingly worn. Another part of it is, like for most of us, the need to put childhood dreams in a drawer. I’m pretty certain I’m not going to be an astronaut, pro athlete, or rock star (and anyone who ever heard me “sing” knew this last one was dead on arrival). Equally important – and more uplifting – is the notion that my “bucket list” is getting fairly full. I’ve done a lot of cool stuff in my 50-odd years on the planet, including seeing much of it (living in or visiting more than 70 countries so far! ), while trying my hand at some interesting occupations along the way, from journalist to peace and conflict resolution adviser, from diplomat to novelist. All of this to say, as I check off boxes, there are fewer boxes left to check off. But there does remain a few, including visiting the Galapagos (next year!) and seeing something I write become a bestseller or Hollywood film. I’ve clung to this dream for some time, but so far work, life, or a lack of motivation keeps it from becoming a reality. So now, to get motivated, I’ve come up with a little trick. I’ve begun dangling a carrot out in front of me in the shape of a shiny new Maserati, my dream car. Your carrot might be a yacht, or a place, or a 30-year-old bottle of single malt. Mine happens to be a car, and not any car, but a platinum-colored Maserati GranTurismo, starting around $150K. It seems to be having a useful Pavlovian effect, too. Every time I see a Maserati now, I want to start writing or go for a run. I realize this is all a bit shallow, and I may never buy the car. But it is a fun game to play, costs me nothing, plus I also keep motivated through worthier causes, like working on Syrian assistance or doing my part to help save the planet. 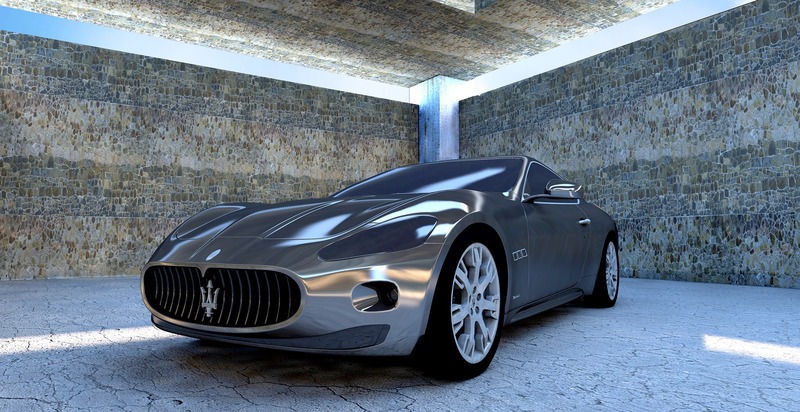 So, when it comes to motivation, I’d love to hear what floats your boat…or, yep, you got it, powers your Maserati! See You in Court! It’s Your Money (and Mine)!